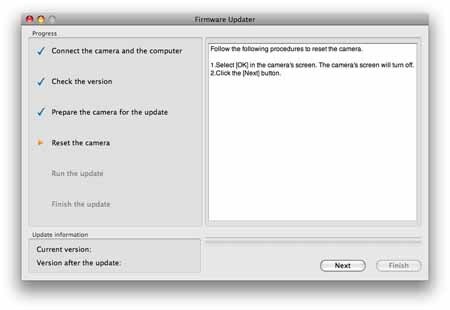 Sony is offering a firmware update for Digital HD Video Camera Recorder Action Cam (HDR-AS15). 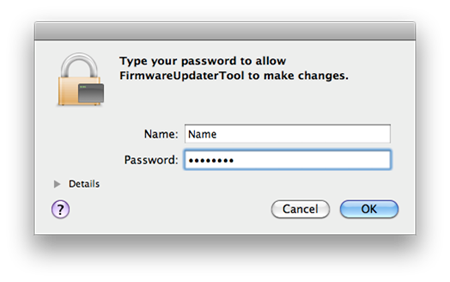 The applicable products are with the firmware version “Ver. 1.03 / Ver. 1.04 / Ver. 2.00”. During smart remote control operation, you can switch to copy mode/remote control mode by operating a smartphone. • [SEND] (Send) is deleted. You can connect the camera through Wi-Fi only in shooting mode. • The default setting of [A.OFF] (Auto Power Off) is changed to [60sec] from [10sec]. • The default setting of [RMOTE] (Remote) is changed to [ON] from [OFF]. Update “PlayMemories Mobile” to the latest version (Ver. 3.00 or later), before you start the smart remote control function. In use of applications other than "PlayMemoriesMobile", please carry out update of this machine after confirmation of the measures taken by the side of an application. Beep can be turned on/off. 3 types of settings are available. 1. Both Rec and Setting sound on. 2. Rec sound on, Setting sound off. 3. Both Rec and setting sound off. 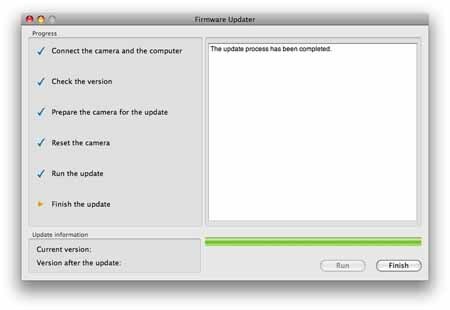 Click here for more details about benefits provided by firmware version 3.00. *Core Solo and Core Duo processors are no longer supported. Fully charged rechargeable battery pack NP-BX1 or NP-FG1. Please confirm with End User License Agreement below. View Applicable License Terms Update. If you accept the agreement, click the Download button below. When the File Download window appears, click Save. 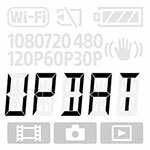 The download of the program file Update_CAMAS15V300.exe (68,005,976 bytes) will start. When performing the firmware upgrade, please use a fully charged rechargeable battery pack NP-BX1 or NP-FG1. 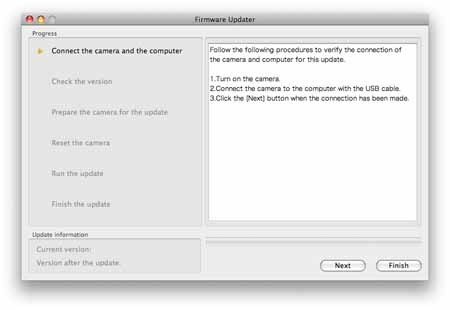 Double click Update_CAMAS15V300.dmg to start up Firmware Updater. After confirming Current version is Ver. 1.03 / Ver. 1.04 / Ver. 2.00, click Next. Note: If Current version is Ver. 3.00, the upgrade is not required. According to the message, stop the USB connection and click Finish. Turn off the camera, remove the battery pack, and then turn on the camera again. Press the ENTER button on the unit to execute. 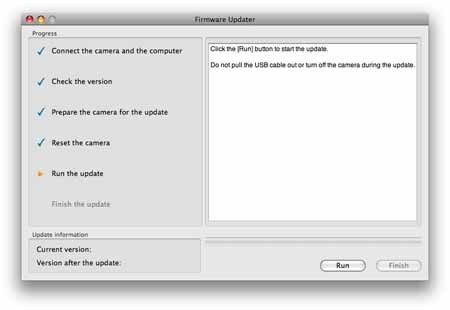 If the NEXT button is pushed, and “PLAY” is displayed on the next of “SETUP” as shown below, a firmware version will be Ver. 3.00. 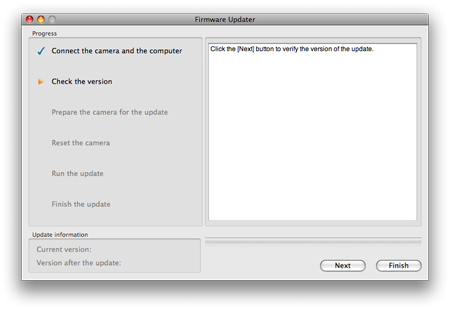 If the NEXT button is pushed, and “SEND” is displayed on the next of “SETUP” as shown below, a firmware version will be Ver.1.03 / Ver.1.04 / Ver. 2.00.